Over the past thirty years treating lower back pain, I've always made it a practice to educate my clients about what I'm doing and why. I've witnessed again and again that when clients become active agents in their own recovery the likelihood of lasting pain relief increases dramatically. 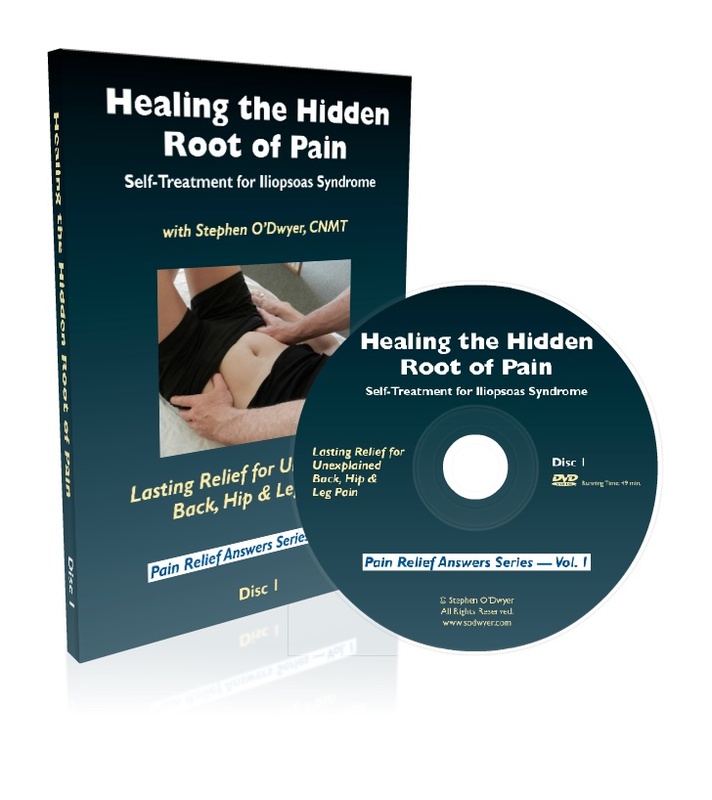 Since I cannot personally evaluate and treat visitors to this site (people visit this site from all over the world), I've created videos of detailed movement therapy, stretching, and strengthening routines designed to relieve many types of back pain. But in order for you to choose the most appropriate routines for your particular issue it's important for you to understand a few key concepts and to possess of deeper understanding of your body as a whole. 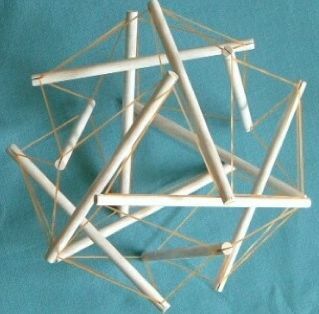 The term tensegrity was originally coined by philosopher Buckminster Fuller as an architectural term combining the words "tension" and "integrity." Looking at the structure, can you see how if you touched one part of it, the whole structure would be affected? Our bodies are like that. Our bodies are, in fact, tensegrity structures. What this means is that we must stop thinking of our back pain as an isolated issue in our backs and more as a holistic issue involving our entire bodies. Fascia is the connective tissue that both surrounds every muscle like a glove and also interpenetrates every muscle, bone, nerve, artery and vein as well as all of our internal organs, the brain and the spinal cord. The body's fascia forms a continuous web from head to foot without interruption. In this way you can begin to see that each part of the body is connected to every other part by the fascia, like the yarn in a sweater. 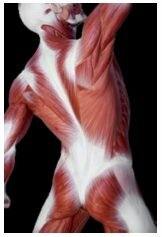 The fascia can tighten, shorten, and also become adhered between muscle sheaths. In the following short video anatomist Gil Hedley shows us how the fascial sheaths of neighboring muscles can get stuck together. Gil has a humorous pet name for the component of fascia that can cause adhesions. He calls it "the fuzz." PLEASE NOTE: The following video contains images of cadaver anatomy which some individuals may find "a bit graphic" (as one of my friends deemed it). The potential of adhered "fuzz" to transmit strain patterns from one part of the body to another cannot be overstated. This is why it's crucial as we get older to maintain adequate movement. Improving overall flexibility is the single most powerful self-treatment available for relieving lower back pain. This is why the benefits of stretching cannot be encouraged too strongly in dealing with lower back pain. Improving your body's overall flexibility — not just the muscles of you back but your entire body — is the heart and soul of lasting back pain relief. And the best part of this strategy? It costs you nothing and, most importantly, it doesn't involve surgery or drugs of any kind. The videos and photos on this site (new videos are being added every week) offer a comprehensive variety of stretching exercises targeting all of these areas. The first order of priority is to test your flexibility in every dimension. Once that is established, then you will know what you need to work on most. As you begin to explore this site, please make sure to try out ALL the stretches, not just the back stretches. It can be tempting to ONLY stretch the area where it hurts but, as perhaps I've made clear by now, doing that is a very incomplete strategy. PLEASE NOTE: If you are experiencing so much pain that it is difficult to move, or if you've been diagnosed with a herniated disc and it is confirmed that the disc is compressing a spinal nerve, then you must consult your physician before proceeding with exercises of any kind.